Lately we've seen increasing inflation rates around the world. While the US inflation rate has been rising to the Federal Reserve's target, rates of inflation around the world have been going far past what is deemed to be healthy. This can create an interesting situation when it comes to investing as it changes the entire investing climate. Today, we'll talk about some of the best investments to make when inflation is rising as well as what you should avoid. Cash – As consumers, it's natural for us to want to have as much cash as possible. After all, without cash, we can't buy much. So, we tend to pad our savings accounts and make sure that we have cash on hand. Nonetheless, this is actually a bad idea when inflation rates are high. After all, when inflation is heading up, it ultimately means that the value of cash is headed downward. Therefore, by sinking the majority of your funds into cash itself, you're actually losing value that could be growing if it was used elsewhere. Long-Term Fixed Income Investments – Long term fixed income investments like certificates of deposit, or simply CD's are one of the go-to investment options for many. However, these are actually a bad choice when inflation rates are high. The reason for this is relatively simple. With long term fixed income investments, the amount you gain is fixed. This means that it won't go up or down. It also means that you won't be able to take advantage of gains seen elsewhere. At the end of the day, if you can be making more money elsewhere, you're actually losing money. So, long-term fixed income investments are a bad idea at the moment. Precious Metals – One of the best investments to make during times of high inflation and economic concern is precious metals. Metals like gold and silver are largely considered to be safe haven investments. So, when inflation is rocketing upward and economic conditions are a concern, the value of gold and silver tend to climb! One of the best examples of this is what we saw from gold on the day following the Brexit vote. When compared to the GBP, the value of gold grew by around 20% in a single trading session. Now that's a great return! Property – When inflation is headed upward, it means that costs are rising. One of the first things that goes up in price is property. So, when inflation is a concern, buying a house, or even a piece of property can prove to be a great investment as its value will likely rise in both the short and long run. Treasury Inflation Protected Securities – Finally, treasury inflation protected securities, or simply TIPS, are another great way to go. That's because the principal of a TIPS increases with inflation and decreases with deflation. This is all measured by the Consumer Price Index. Essentially, with TIPS investments, when the investments mature, you are paid the adjusted principal, or original principal, whichever is greater. This can be a very high yielding opportunity when inflation rates are up. 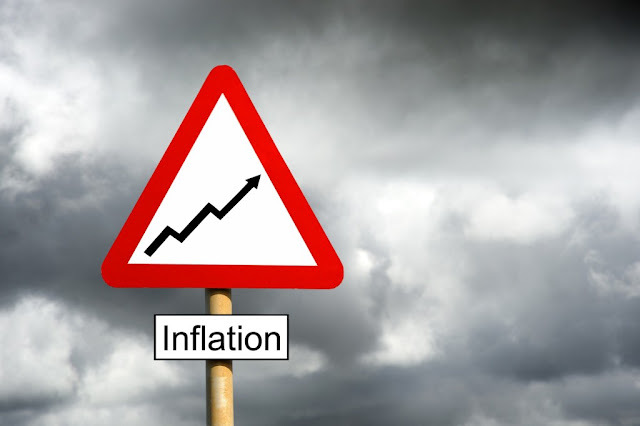 What assets do you avoid and what do you invest in when inflation rates are high? Let us know your opinion in the comments below! Really happy to have found your blog. I am always looking for more information wherever I can find it. During high inflation real estate would definitely be my pick but in reality I am a long-term index fund investor. I don't have enough information about the future to trust myself to do anything else.